This novelisation of the radio serial Paul Temple and the Jonathan Mystery also includes a Paul Temple short story, ‘The Ventriloquist's Doll'. Photographer and amateur detective Philip Holt is asked to investigate the unexplained murder of an American student at an English university. With a postcard signed ‘Christopher' and the boy's father's missing signet ring as his only leads, Holt's investigation soon snowballs into forgery, blackmail, smuggling … and more murder. 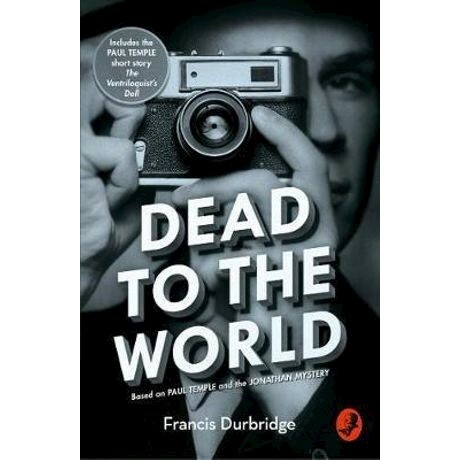 Dead to the World is Francis Durbridge's novelisation of his radio serial Paul Temple and the Jonathan Mystery, rewriting the Paul and Steve Temple characters as Philip Holt and his secretary Ruth Sanders. This new edition is introduced by bibliographer Melvyn Barnes and includes the Paul Temple Christmas story The Ventriloquist's Doll. Francis Henry Durbridge was born 25th November 1912 in Hull. In addition to writing mysteries for radio and television, Durbridge also forged a successful career as a writer for the stage and wrote 43 novels. Durbridge married Norah Lawley in 1940, they had two sons. He died at his home in Barnes aged 85 in 1998.